TORONTO, March 3, 2016 /CNW/ - Energy tech guru JB Straubel, a member of Tesla's founding team and the company's Chief Technical Officer (CTO), will meet with Ontario's innovation community for the first time when he appears as keynote speaker at Ontario Centres of Excellence's Discovery 2016 being held May 9-10 at the Metro Convention Centre. Appearing on May 9 in conversation with author, journalist and current RBC Sr. Vice President John Stackhouse, Straubel will share his experiences in energy innovation and the business opportunities associated with clean tech and climate change. "With his unique perspective on disruptive technologies and energy storage solutions, JB Straubel is the perfect keynote to address the thousands of innovators and entrepreneurs at Discovery," says Dr. Tom Corr, President and CEO of OCE. "JB and John have decades of experience and their insights into innovation, business and the changing world economy will be both informative and inspirational for attendees." Energy and cleantech, and their relationship to climate change, are especially important to OCE as it undertakes a new $74 million Cleantech Innovation Initiative on behalf of the Government of Ontario. 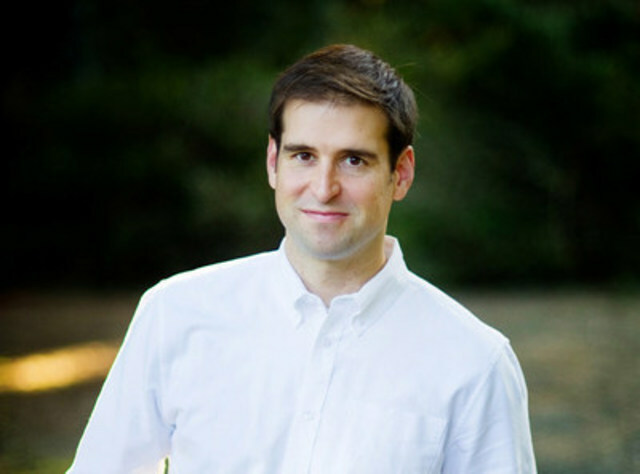 JB Straubel is part of the founding team, along with Elon Musk, of Tesla Motors and manages the technical direction and engineering design of the Tesla products including battery technology, power electronics, motors, software, firmware and controls. He also created and manages such Tesla initiatives as: the Tesla Energy business which is providing grid storage for commercial utilities and residential consumers; the worldwide Tesla Supercharger network of fast DC chargers; and the Tesla Gigafactory which is leading the way toward increasing worldwide battery production and lowering electricity costs. In addition to his work at Tesla, Straubel is on the Board of Directors for Solar City. He also lectures at his alma mater, Stanford University, where he created and teaches an engineering class and lab focused on energy storage integration. Straubel's interest in electric vehicles began at age 14 when he rebuilt an electric golf cart and continued with projects like an electric Porsche 944 that held a world EV racing record, and a hybrid trailer he designed while in college. In 2008 the MIT Technology Review chose him as top innovator of 35 under 35 for the year. In 2009 DesignNews named him "Engineer of the Year". And in 2015 he was listed as number two on Fortune's 40 under 40 most influential business and innovation leaders. He has 30 patents covering most areas of Tesla's core battery, motor and controls systems. John Stackhouse is a Senior Fellow at the C.D. Howe Institute and Munk School of Global Affairs at the University of Toronto. As Senior Vice President in the Office of the CEO at RBC he advises the executive leadership team and the Board of Directors on global economic, business, political and social trends and provides insights on how these are affecting RBC, its clients, and society at large. He's a former editor of the Globe and Mail and has won five National Newspaper Awards, a National Magazine Award and an Amnesty International Award for human rights reporting. He has authored three books: Out of Poverty: And Into Something More Comfortable; Timbit Nation: A Hitchhikers Guide to Canada; and, most recently, Mass Disruption: Thirty Years on the Front Lines of a Media Revolution. Named Canada's Best Trade Show 2010 and 2011 and now in its eleventh year, OCE's Discovery is Canada's premier innovation showcase. It brings together the best and brightest minds in industry, academia, investment and government to showcase leading-edge technologies, best practices and research in the areas of energy, the environment, advanced health, digital media, information and communication technologies and advanced manufacturing. The annual conference and showcase attracts more than 3,200 attendees and 500 exhibitors.